Washington (AFP) - A key Republican lawmaker on Sunday backed Donald Trump's plan to withdraw from a decades-old nuclear accord with Russia, saying the US needed to be free to respond to a Chinese nuclear build-up. The US president on Saturday confirmed his plan to withdraw from the 1987 Intermediate-Range Nuclear Forces Treaty, saying the Russians had been violating it "for many years" while China, not a signatory, remained free to develop such weapons. Russia denounced the US decision as "very dangerous." 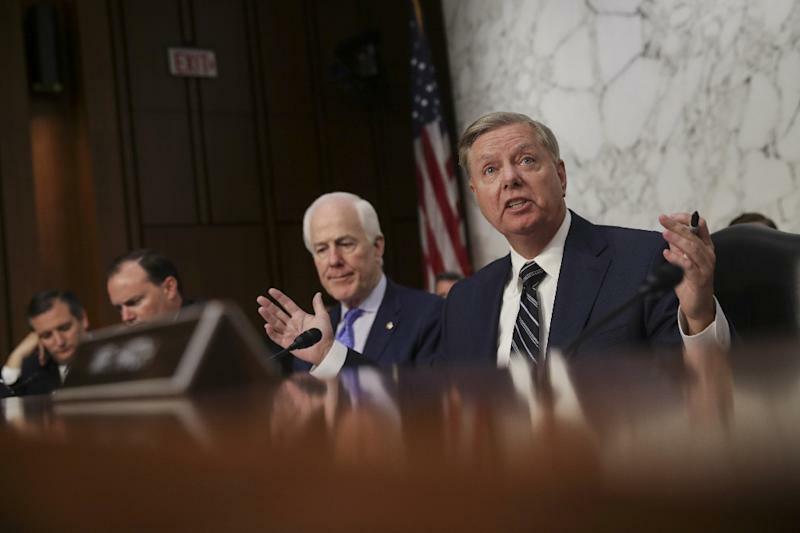 But Senator Lindsey Graham, who has become an outspoken ally of Trump's, said on "Fox News Sunday" that the president was making "absolutely the right move. "The Russians have been cheating; the Chinese are building up their missiles... and we need to counter it." Another senior Republican, Senator Bob Corker, agreed that "there's no question that for years Russia has been violating" the accord. He noted on CNN that some defense specialists say that "because China is not part of this (the INF) they're developing systems that will move beyond where we are." But Corker, who chairs the Foreign Relations Committee, said he hoped Trump's stance was designed merely to pressure Russia to return into compliance. "I hope we'll be able to figure out a way to stay within the treaty."